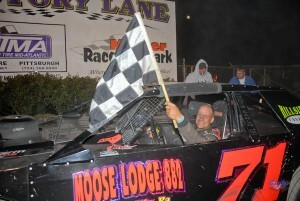 Our photos from October 2 at Mercer Raceway Park have been added to our gallery. Like an old broken record in 2010, after sunny, dry start to the day on Saturday, the clouds and showers rolled in during the evening; and though they persisted on and off all night long, the majority of the season ending “Fall Brawl” was able to be completed. Celebrating in the Hoosier Tire Mid-Atlantic victory lane were Max Blair-4 Your Car Connection FASTRAK Late Model Grand Nationals Night 1, Matt Lux-Super Late Models, and Dave Hess, Jr.-United E-Mod Series as northwest Pennsylvania racers completed a clean sweep of the program. The M&D Paving Mini Stock feature was rained out and the payoff was divided equally amongst the drivers. Kargo Quality Cars presented Quaker State Racing jackets to the feature winners. All of the photos from the 2nd night of the Little Guy Nationals at Mercer Raceway Park have now been added to the September 25 gallery. Night 2 of the 11th Annual “Little Guy Nationals” took place on Saturday September 25 at Mercer Raceway Park. One day after a high temperature of 90 degrees, a cold front swept through and dropped the temperature nearly 30 degrees on Saturday, but dry conditions prevailed. One hundred sixty-nine cars filled the pit area with the following drivers victorious: Jimmy Holden-Approved Toilet Rentals (358) Modifieds, Greg Fenno-Big Daddy’s Speed Center Stock Car Feature 1, Bobby Whitling-Big Daddy’s Speed Center Stock Car Feature 2, Bob Schwartzmiller-Stock Car Non-Qualifiers Consolation, Chris Schneider-4 Your Car Connection FASTRAK Late Models, Matt Hay-STAR’s Mod Lite Series, Blane Krott-Strictly Stocks, and Mike Scharba-M&D Paving Mini Stocks. A total of 229 different cars competed in the seven divisions over the two days of competition. The first set of photos from Night One of the Little Guy Nationals at Mercer Raceway Park are now posted to our gallery. Please bear with us as we try to get all of our photos from the two nights sorted, edited, and posted. Due to unforeseen circumstances, it will be longer than usual to get everything posted. As each division is finished we will add those photos to the galleries, so please check back often. 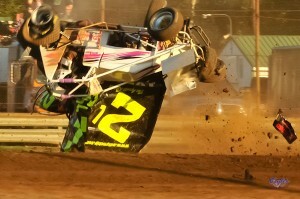 Our photos from the September 11/12 races at Mercer Raceway Park have been added to our gallery. After rain postponed Saturday’s Western PA Sprint Championship/BRP Mod Tour doubleheader, sunshine returned on Sunday allowing the Ehrlich Your Local Pest Control Experts event to be completed. Celebrating in the Hoosier Tire Mid-Atlantic victory lane were Brian Ellenberger-DIRTcar Challenge Series for the Luxaire Heating & Cooling 410 Sprint Cars, Rex King-Rock Concrete BRP Modified Tour, Max Blair-4 Your Car Connection FASTRAK Late Models, Steve D’Apolito-Big Daddy’s Speed Center Stock Cars, and Tim Callahan-M&D Paving Mini Stocks. A total of 121 cars competed over the two days. 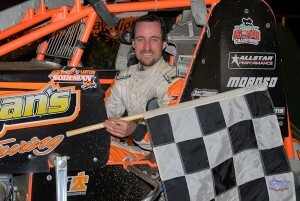 Our Victory Lane photos from August 28 are now posted to our gallery. Due to a recurrence of some health issues, Paul was not able to be at the Park on Saturday, so we have no action photos this week. Our good friend and colleague Scott Whipple will have action photos posted on his web site. 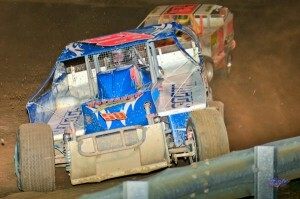 Mercer Raceway Park wrapped up the month of August on Saturday night with the Auto Racers for Kids Charities event. 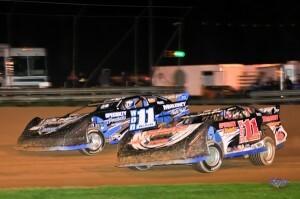 It was night four of four in the 2010 Bonnell’s Collision Center Sprint Shootout Series that also featured events at Sportsman’s Speedway, Eriez Speedway, and Raceway 7. Celebrating in the Hoosier Tire Mid-Atlantic Victory Lane were Jack Sodeman, Jr.-Luxaire Heating & Cooling (410) Sprint Cars, Russ Byler & Jeff Walters-Big Daddy’s Speed Center Stock Cars, and Tim Callahan-M&D Paving Mini Stocks. Our photos from the first ever Mercer visit by the Lucas Oil Pro Pulling League, produced by Power Pulling Productions, LLC, are now online. 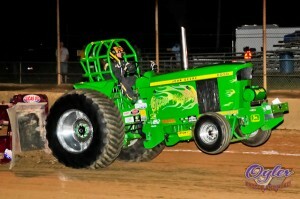 This first ever event included the Limited/Pro Super Farm Tractors, Super Stock 4×4 Trucks, and the 7500-lb Open 4×4 Trucks.